Twister Cotton Mop has an easy wring action. Easy to clean and quick drying. 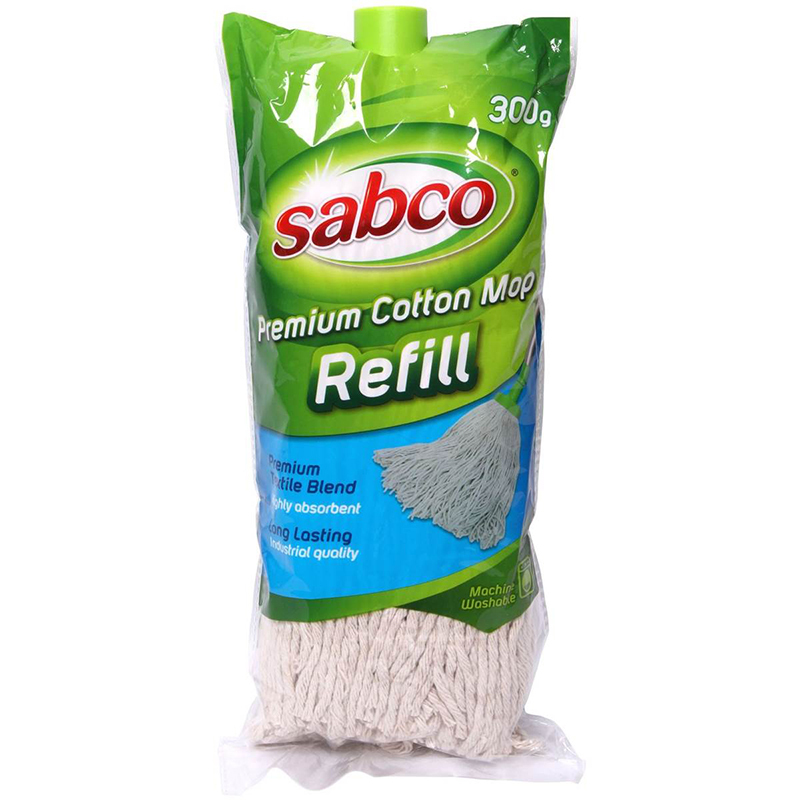 Super absorbent cotton leaves your floor sparkling clean in no time. 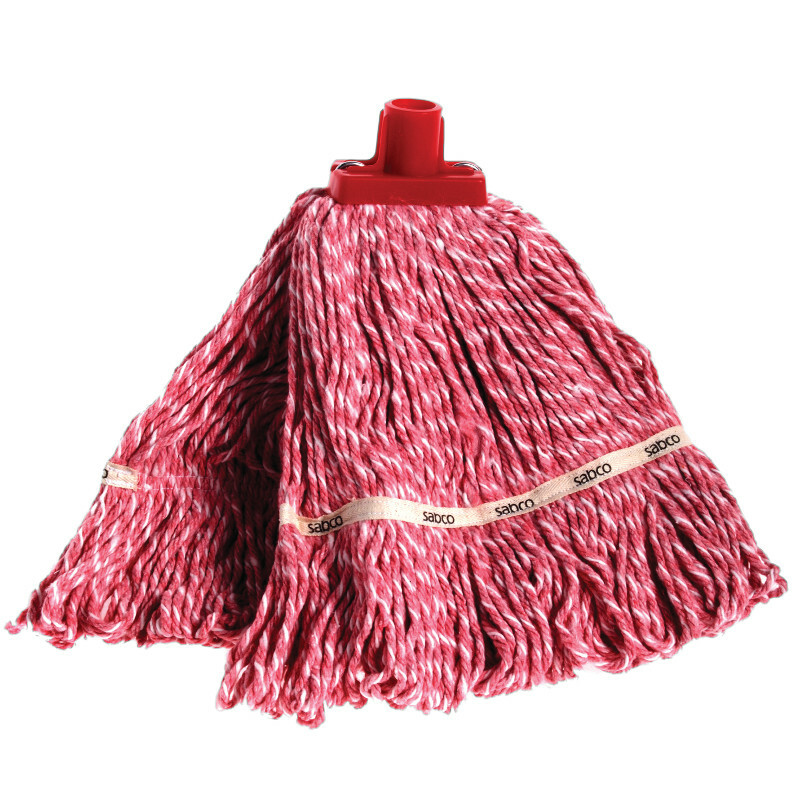 Replacement head available. 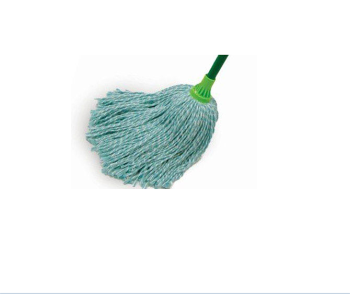 Easy to clean and quick drying. There is available replacement head. 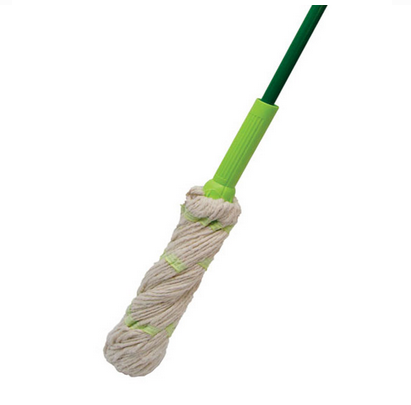 This cotton mop is made of antibacterial yarn to prevent the growth of bacteria. 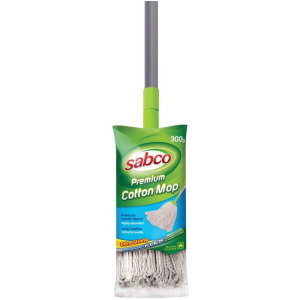 Sabco Self Wringing Cotton Mop features a screw on mop head and modern design, the Sabco self wringing mop needs no special bucket attachment. 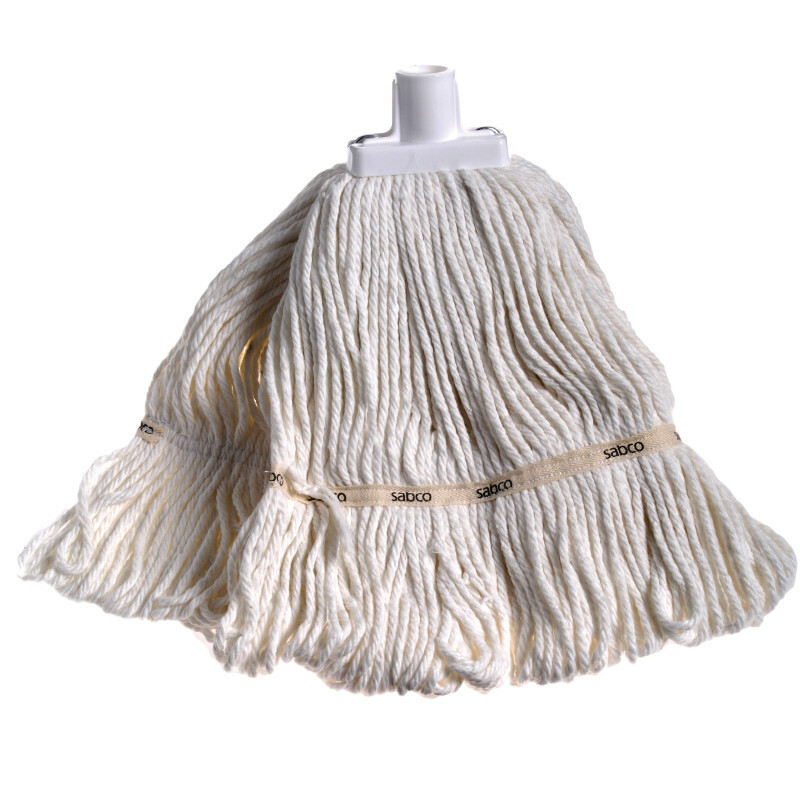 Simply push the sleeve over the mop head to wring out all wetness. Easy to use with self wringing mechanism. 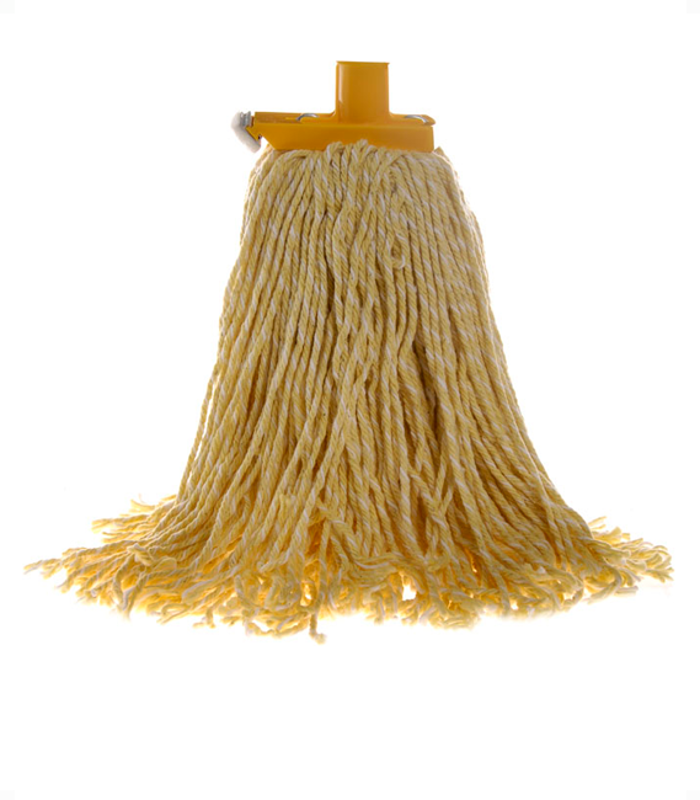 Push cone over the mop head to wring out all wetness. No special bucket needed. Replacement head is available. 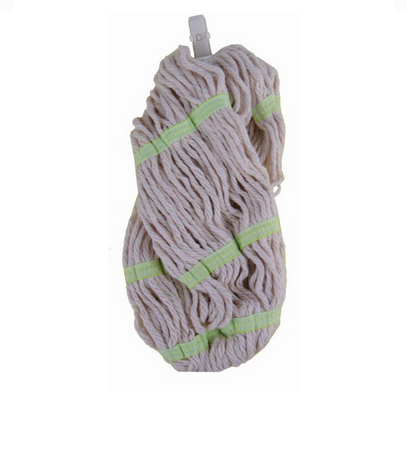 Antibacterial yarn to prevent the growth of bacteria. Looped and tail banded construction for maximum strength. US thread ferrule to suit most handles. 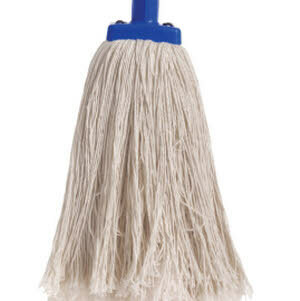 Replacement head available. 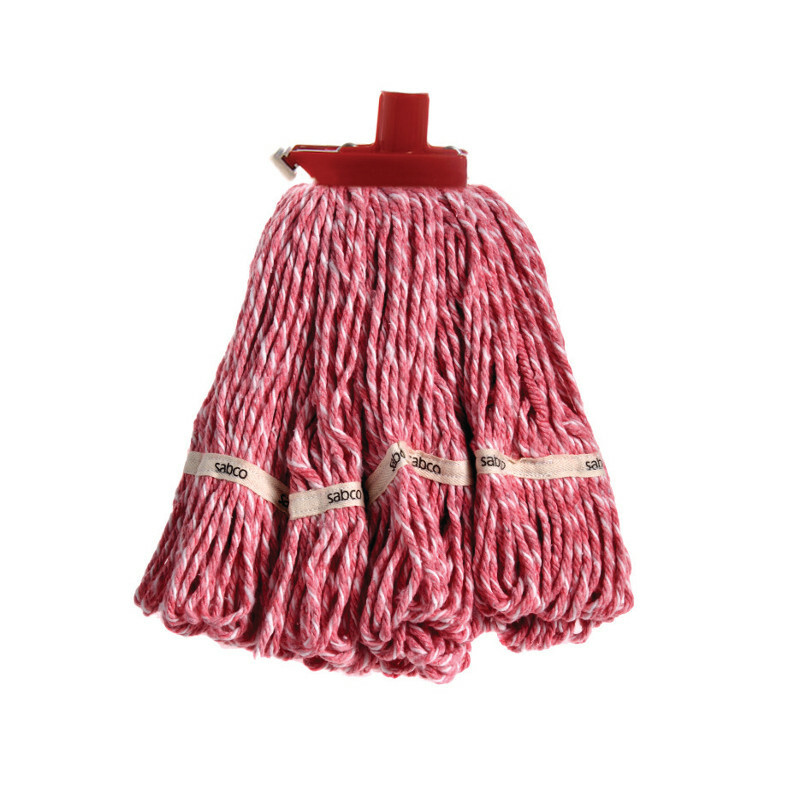 Premium blend mop for maximum absorbency. 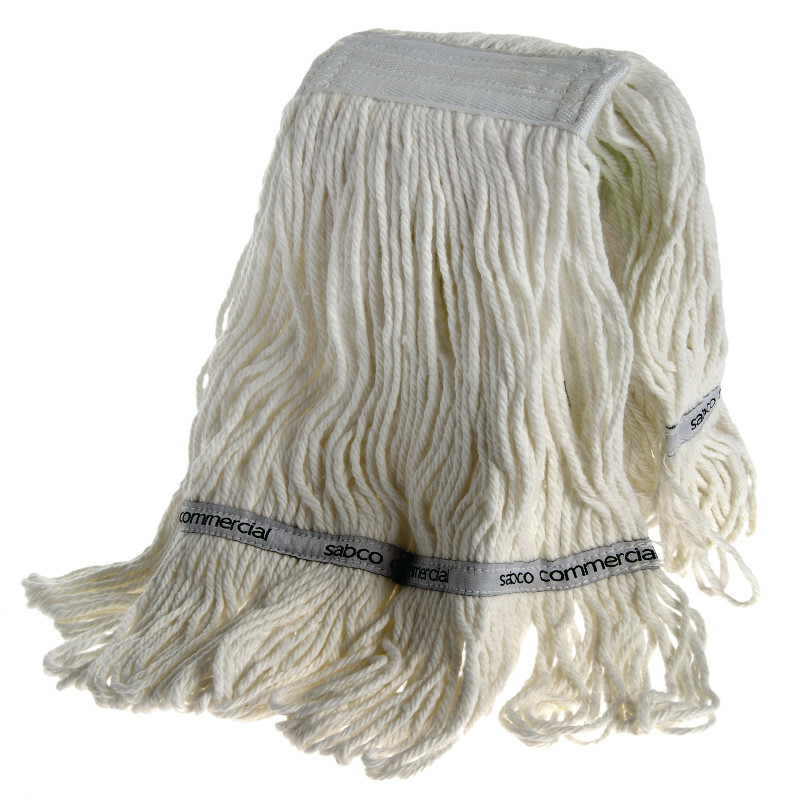 Antibacterial yarn to prevent odour forming bacteria. US thread ferrule to suit most handles. Available replacement heads are medium, large, and extra large. 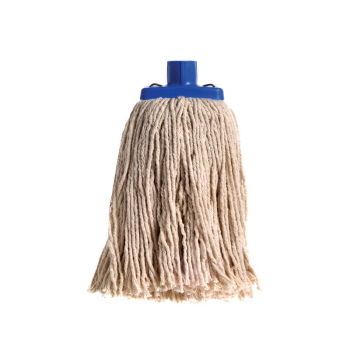 Premium blend mop for maximum absorbency. Antibacterial yarn to prevent the growth of bacteria. 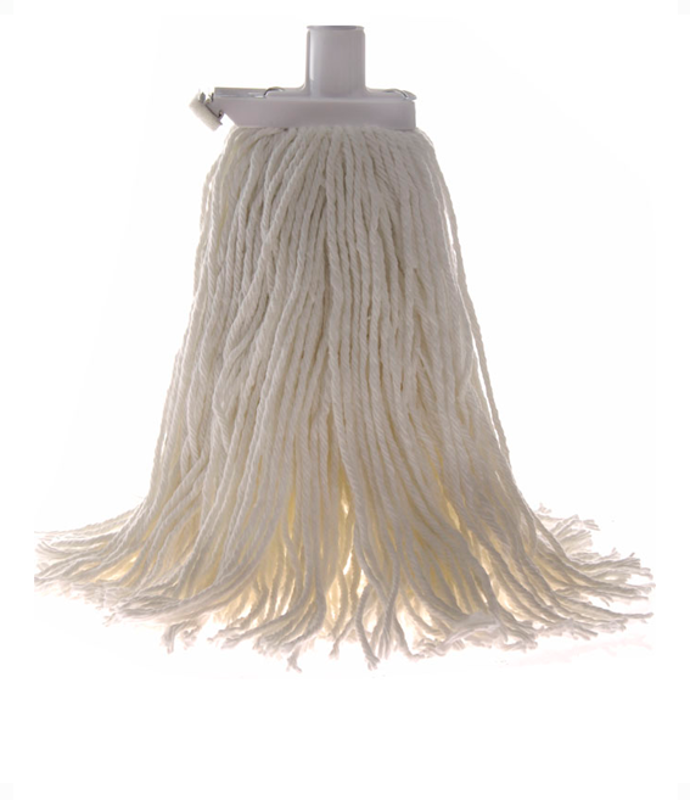 This self wringing cotton mop is made up of anti-bacterial yarn that helps prevent the growth of bacteria. 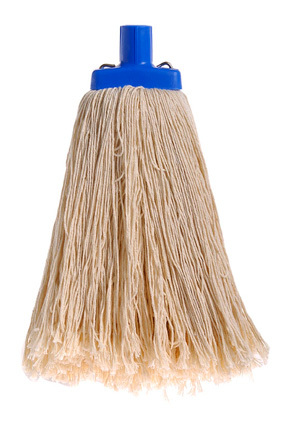 It includes a screw on mop head. Premium textile blend. 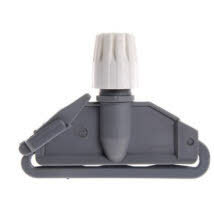 Features H/D plastic ferrule. 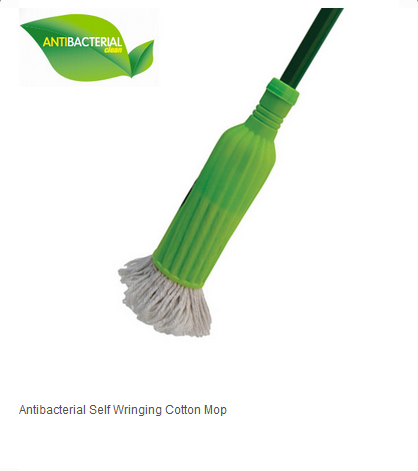 Ideal for commercial cleaning. 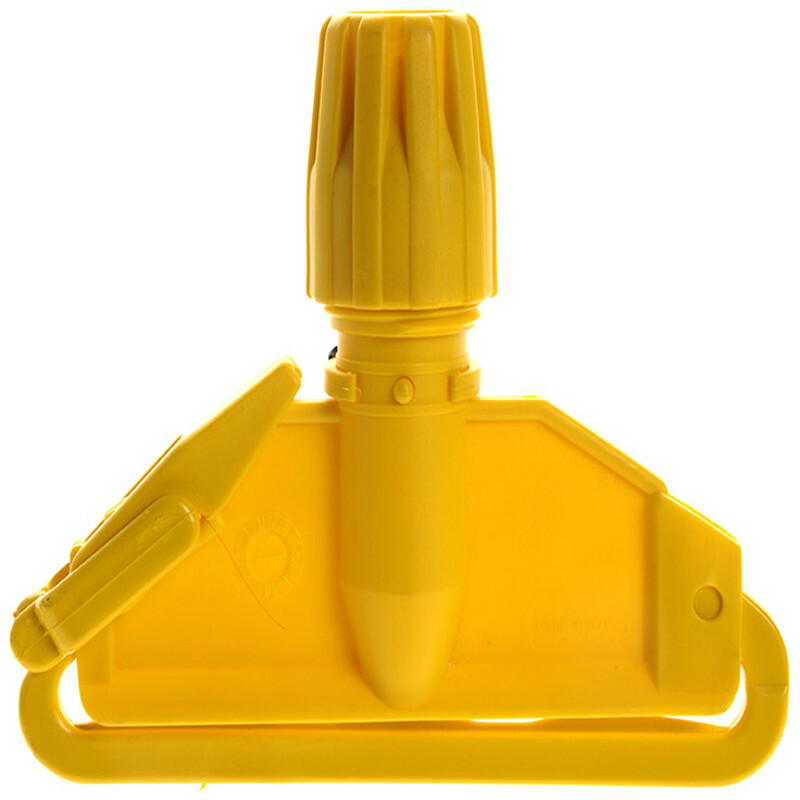 Includes adaptor to suit 25mm wooden or metal handles. 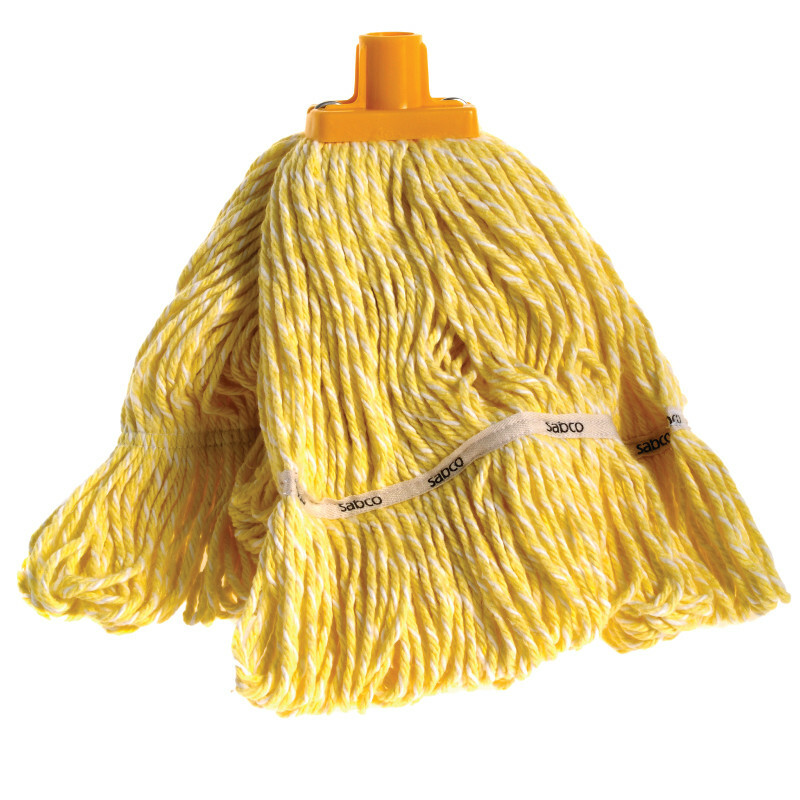 Cut ends for easy rinsing. Available colours for yarn and socket are blue, green, red, yellow, and white. 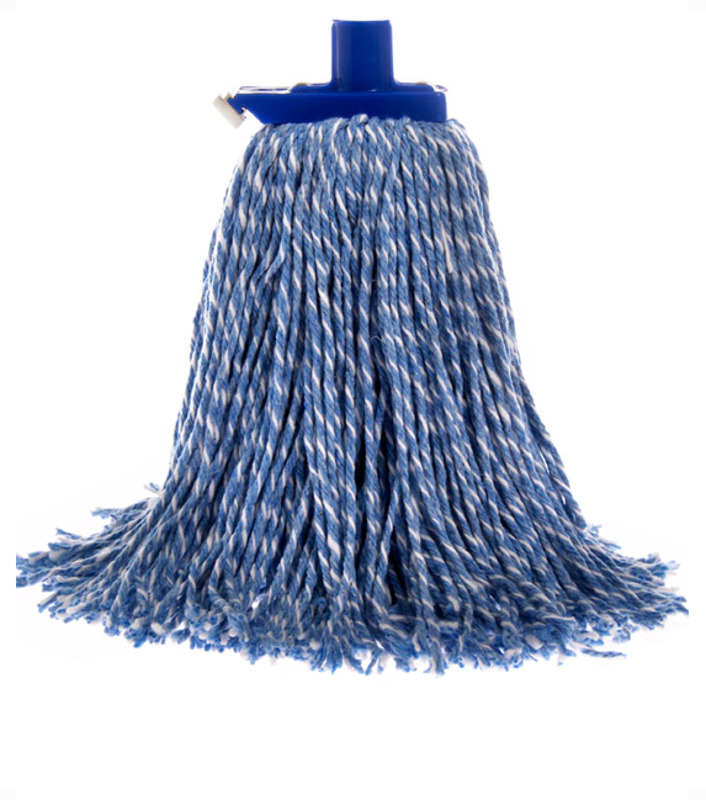 It has a round shape, tail banded for optimum floor coverage. 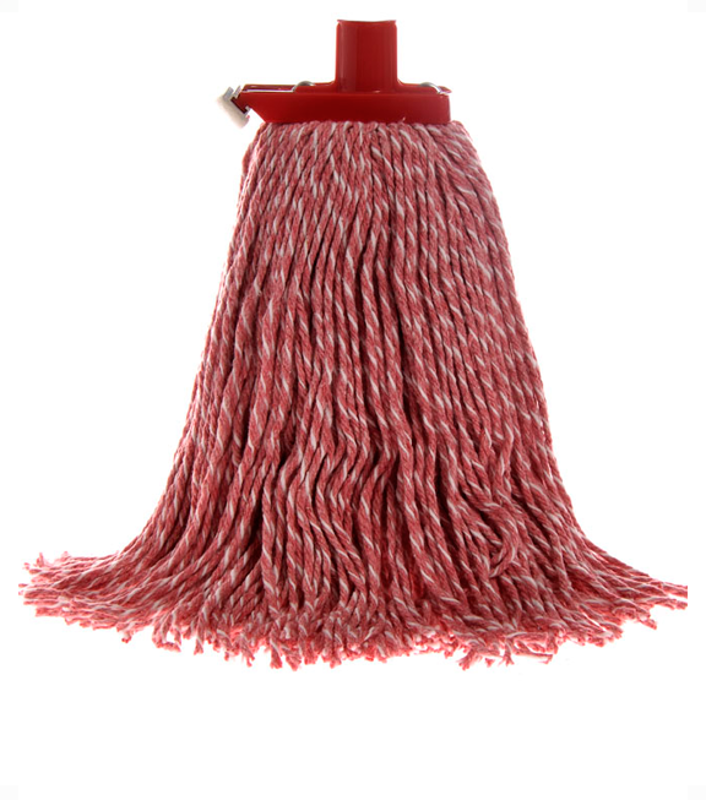 It has looped ends to protect from tangling and linting. Features H/D plastic ferrule. 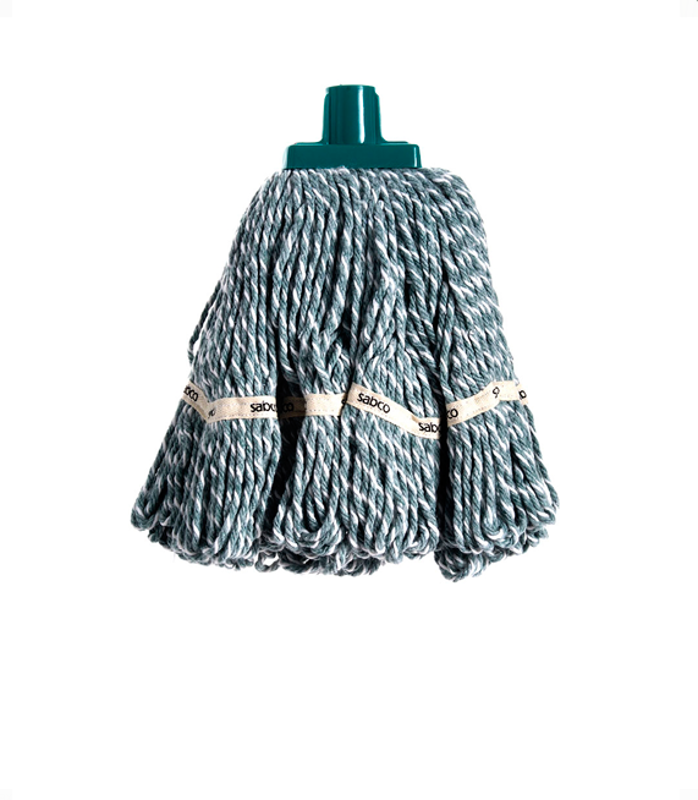 This premium grade round mop includes adaptor to suit 25mm wooden or metal handles. 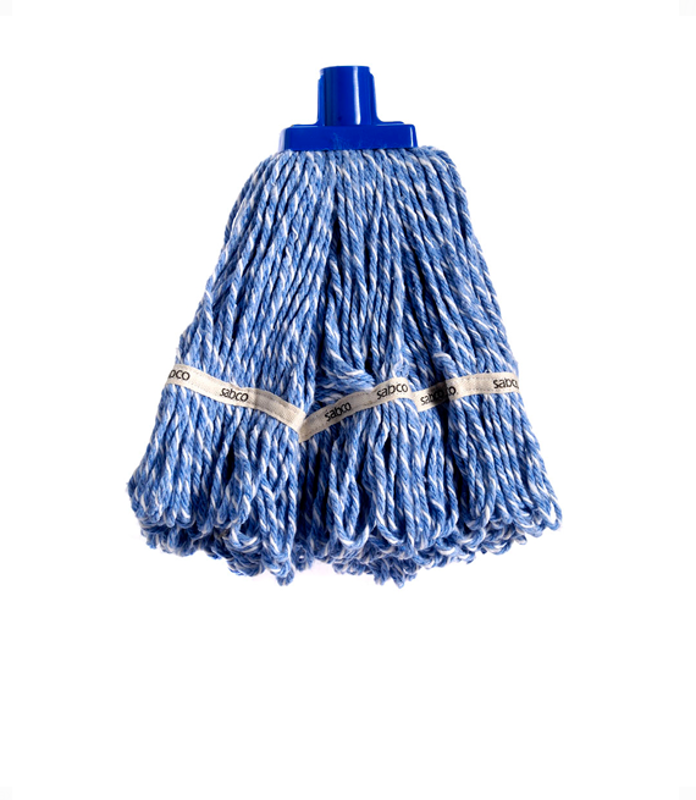 This is an ideal mop for commercial cleaning. 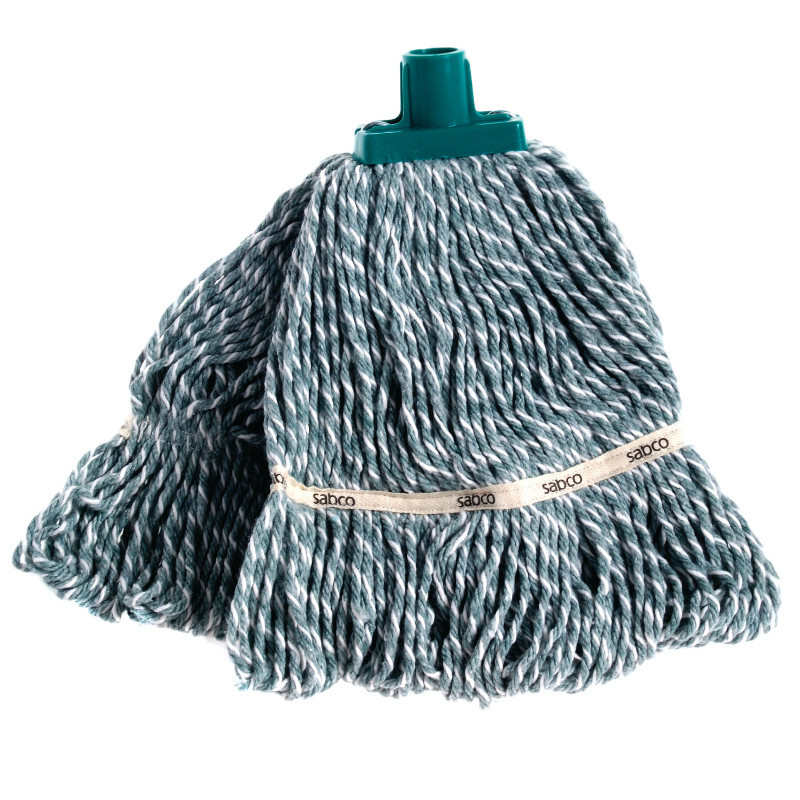 Available yarn and socket colours are blue, gree, red, yellow, and white. 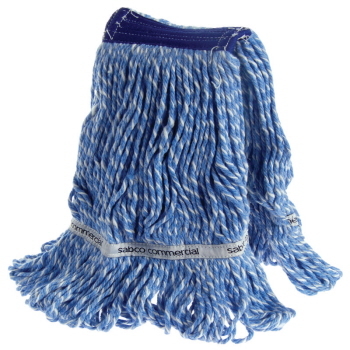 Sabco Premium Grade Loop Mop is well suited for commercial cleaning. 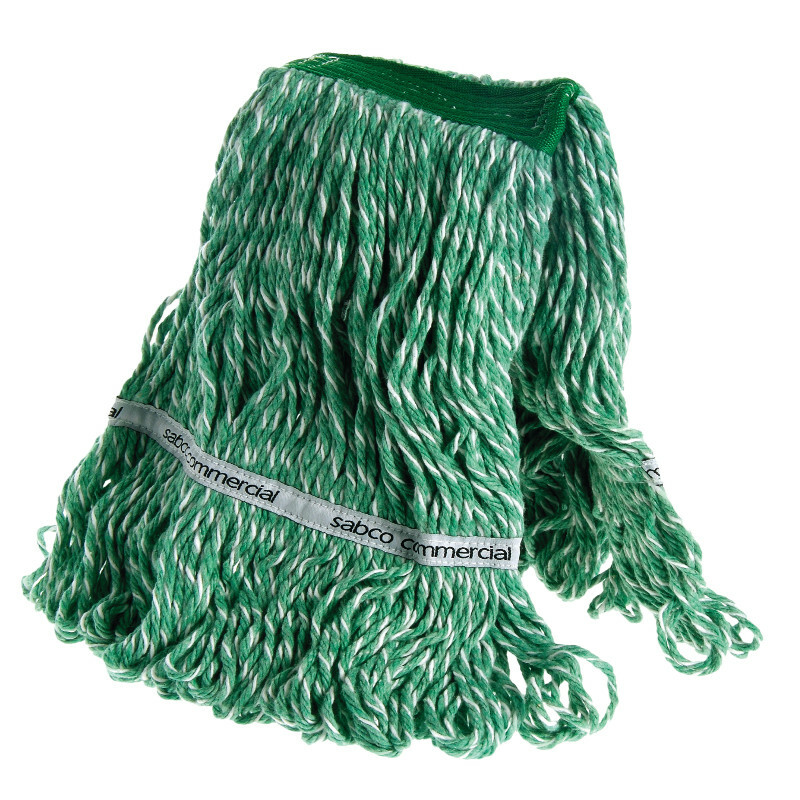 Its looped and angle tail are banded to protect from tangling and linting. Butterfly construction for maximum floor coverage. 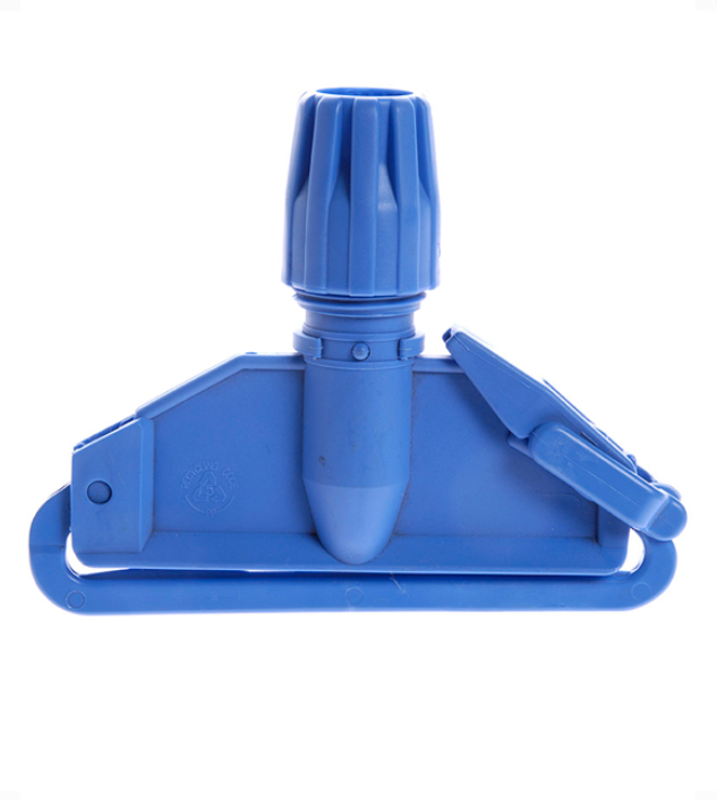 Features H/D plastic Ferrule. 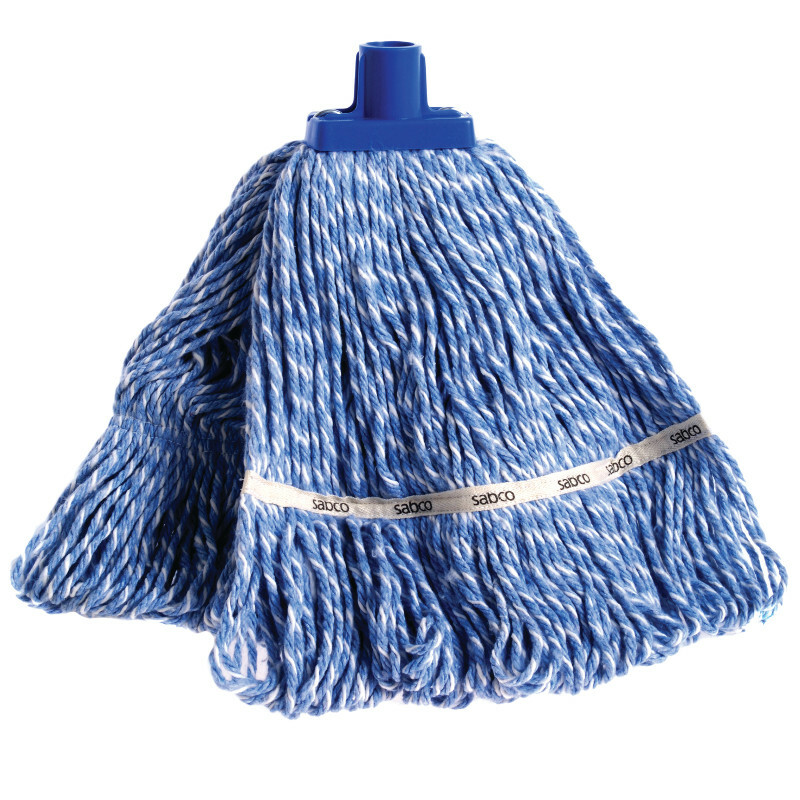 This loop mop also has adaptor to suit 25mm wooden or metal handles. 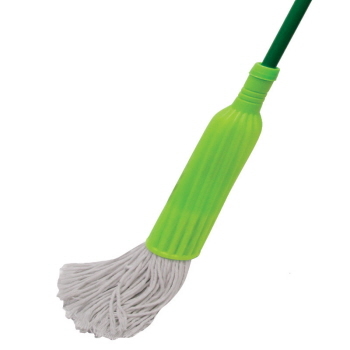 It is available in various colours- blue, green, red, yellow, and white. 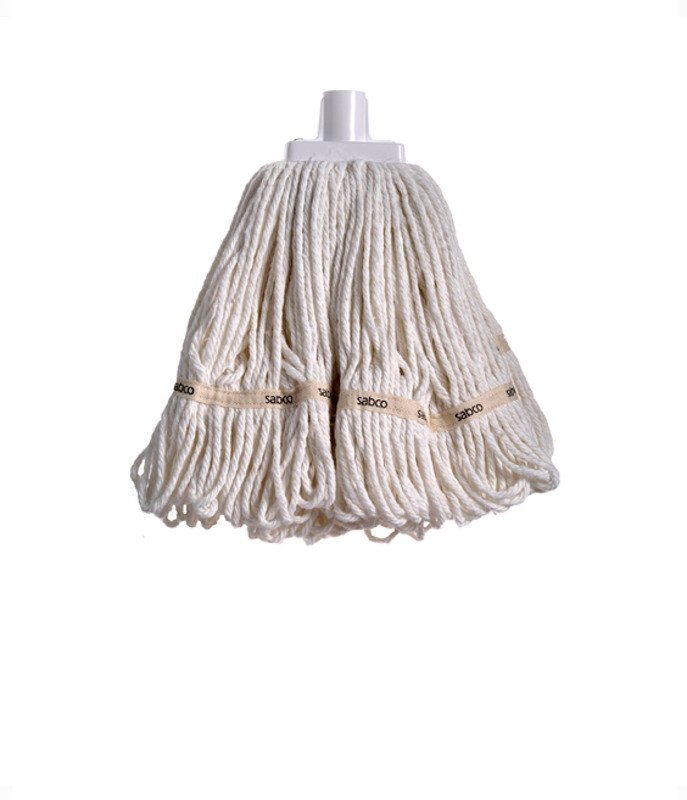 Polyester cotton mop head mostly used for applying sealers as it will reduce lint residual. 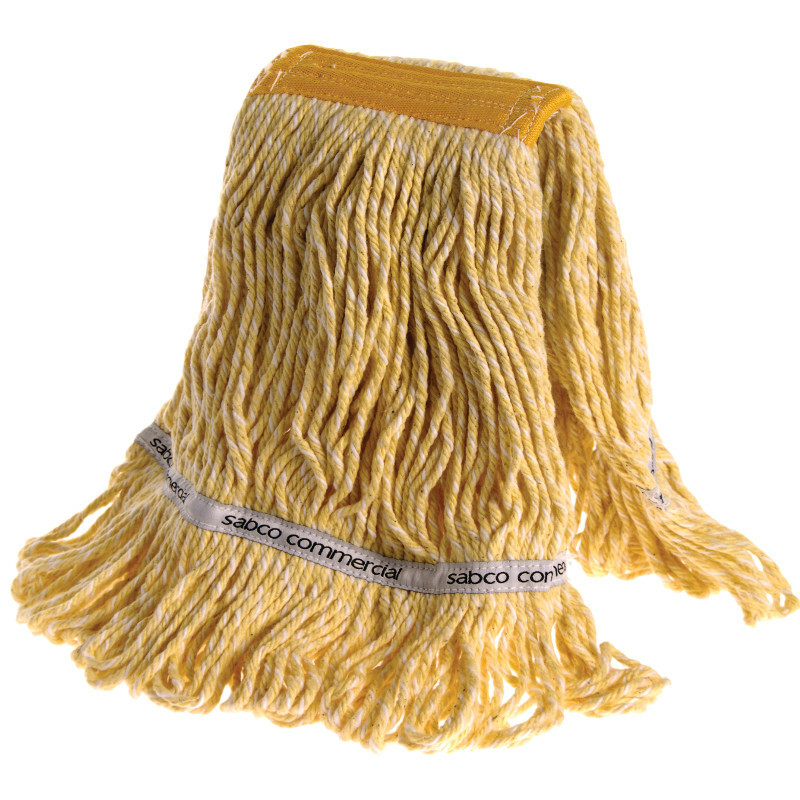 Long lasting, Industrial strength yarn is ideal for commercial cleaning also. 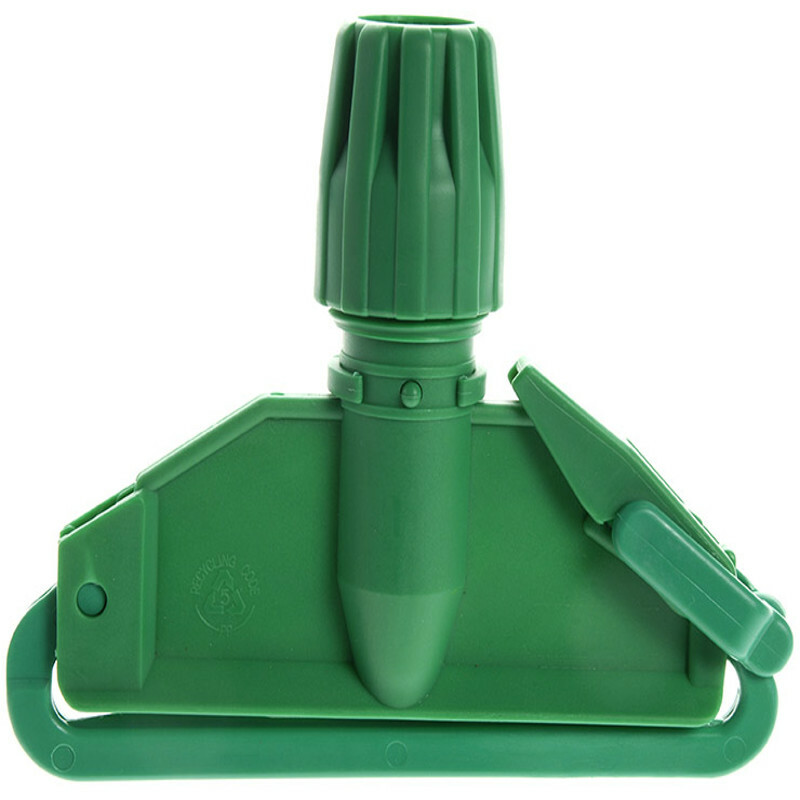 Features heavy duty plastic ferrule. 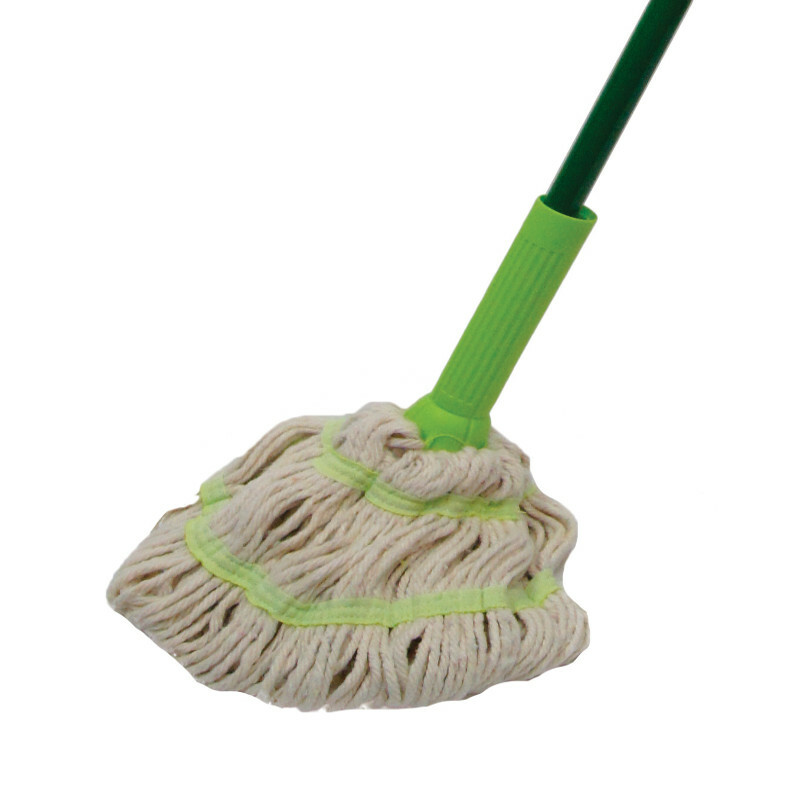 Available 450 and 600 grams. 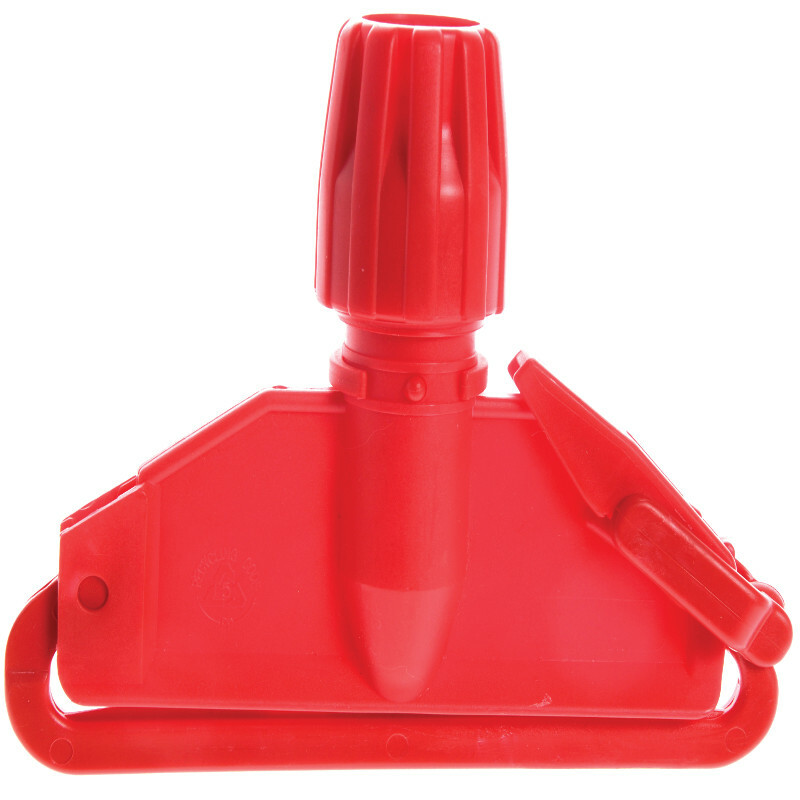 Butterfly shaped looped and tail banded prevents linting and tangling. 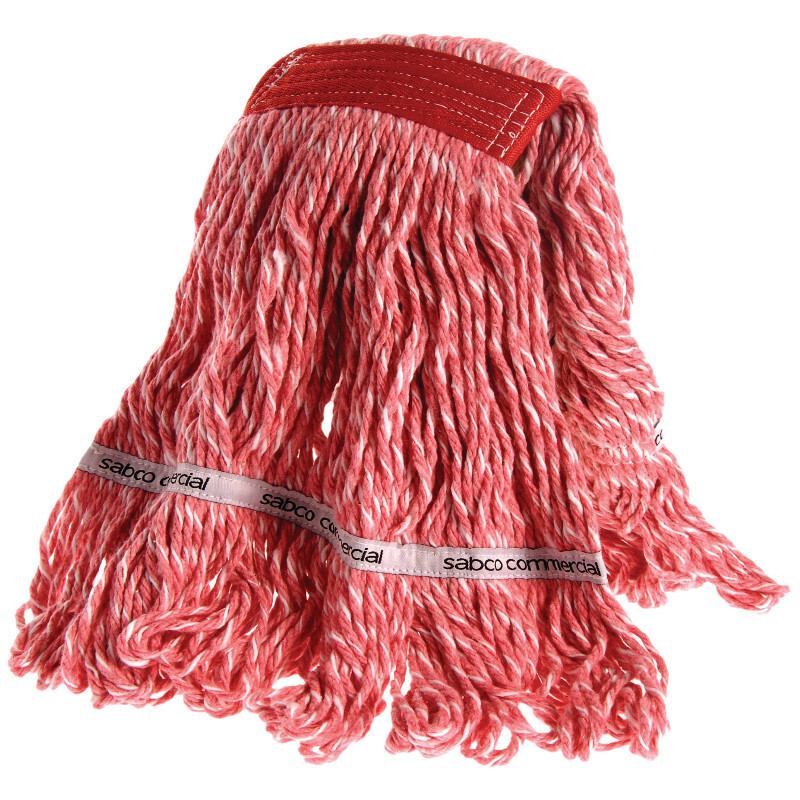 Commercial grade yarns for most efficient use. Mop clip is required. 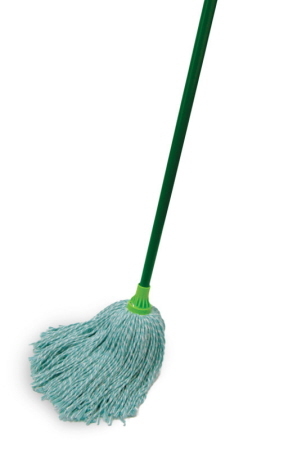 Available colours are blue, green, red, yellow, and white. 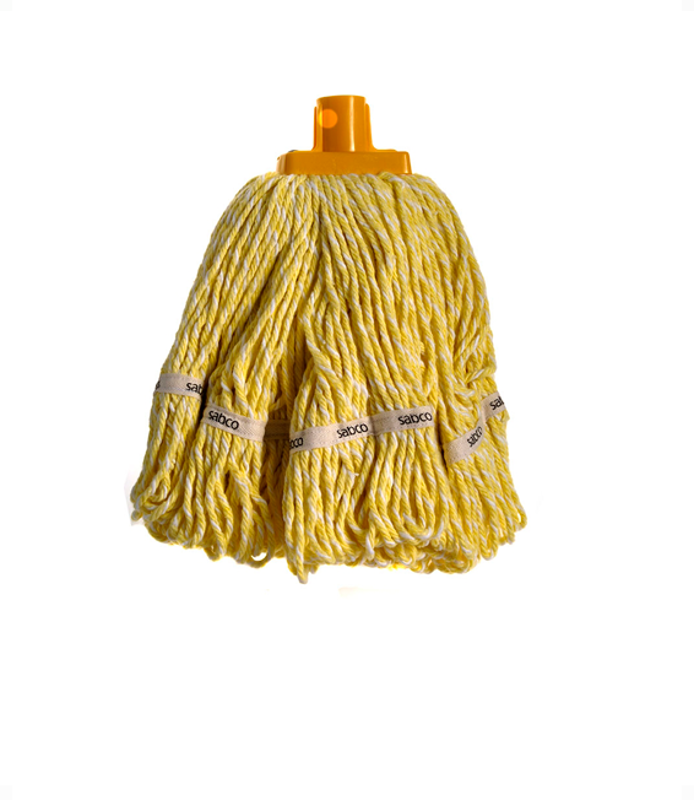 High quality durable plastic mop clip featuring universal screw tightened adaptor for 22mm or 25mm wooden or non threaded metal handles. 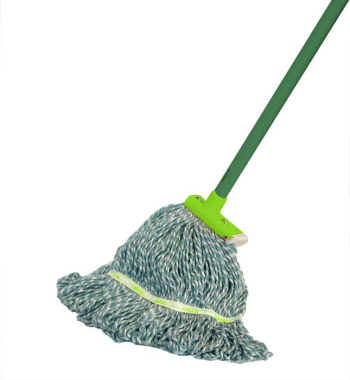 Available colours are blue, green, red, yellow and grey. 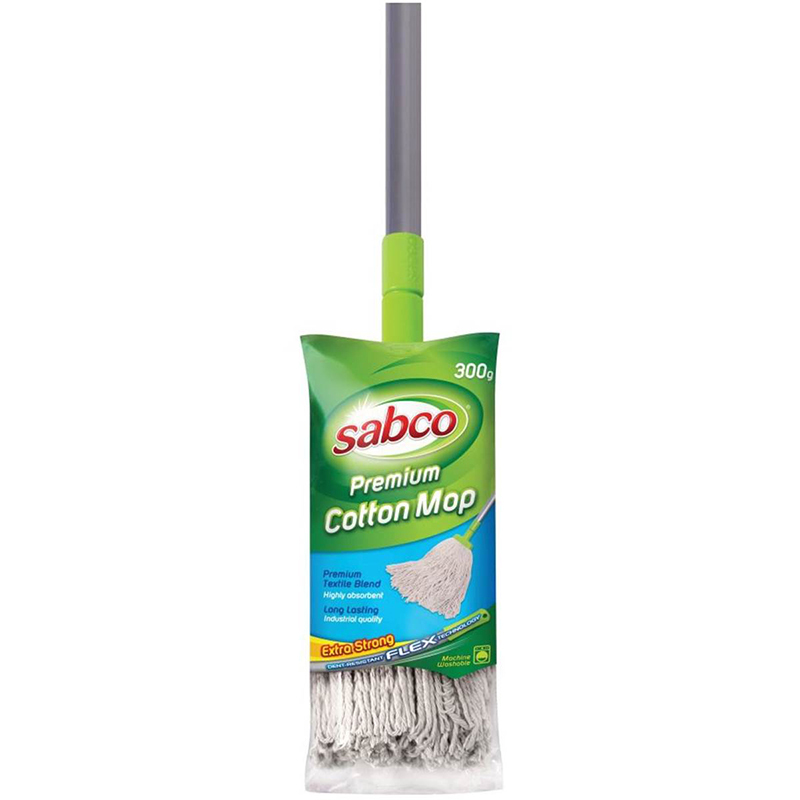 Sabco Premium Cotton Mop provides you with ease and convenience with a combination of traditional cleaning power with superior handling technique. - Premium textile blend and highly absorbent. 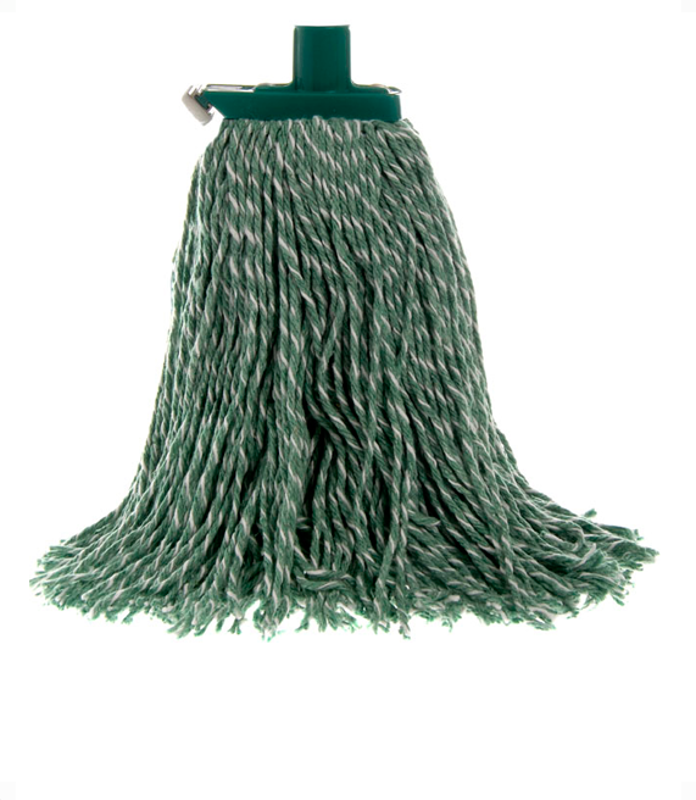 - Combines traditional cleaning power with superior handle technology.